"GetDismissed: The Sequel," by Steven F. Miller and Alexis C. Vega, Wins the Best of Los Angeles Award for "Best Traffic Ticket Book -- 2018"
GetDismissed: The Sequel takes home the coveted "Best of Los Angeles Award" for "Best Traffic Ticket Book -- 2018"
GetDismissed.com, California’s traffic ticket experts, have just released their new book titled “GetDismissed: The Sequel. Just When You Thought It Was Safe To Drive In California Again," to rave reviews. The book is a follow-up to their successful 2015 release “GetDismissed: No Brainwork Required, It’s That Simple." The authors of the original GetDismissed book, Steven F. Miller and Alexis C. Vega, are back at it again, updating their original book to include new trade secrets, the best roadmap of options on how to fight a traffic ticket, and a whole lot more. The authors accomplish this by breaking down the California traffic ticket system in simple terms. All the information about this process and system are fully disclosed in detail in their new book. They’ve even updated their popular California traffic ticket fighting web and mobile application to accompany the book. 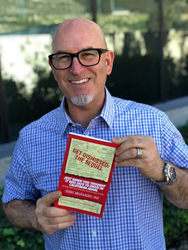 Immediately after being released, "GetDismissed: The Sequel" garnered critical acclaim and earned the Best of Los Angeles Award for "Best Traffic Ticket Book -- 2018." "I am honored to receive this award from the Best of Los Angeles," says Steven Miller. "I worked very hard on the book and I am happy it is delivering results for people." To learn more about "Get Dismissed: The Sequel", please visit its Amazon page or its website.